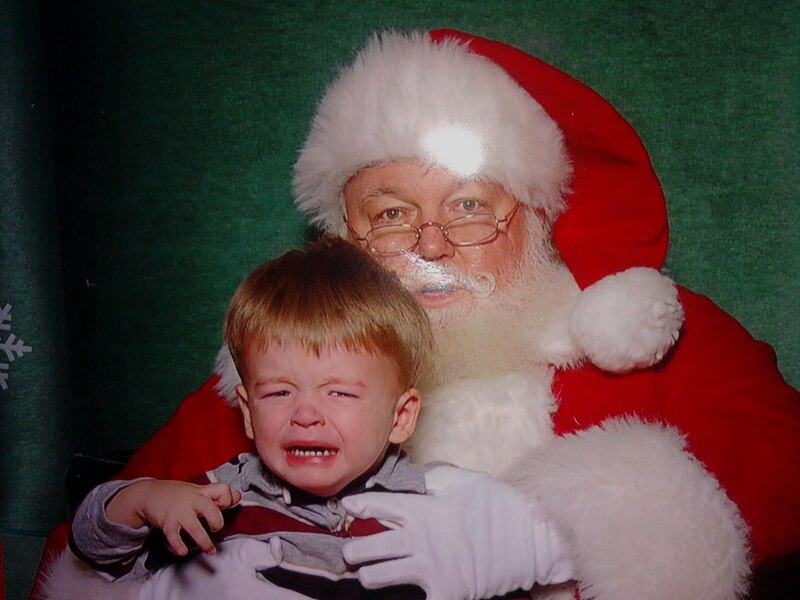 I took Evan to see Santa this morning and that wasn't a pleasant experience. He cried! I didn't think he would like sitting on his lap but I didn't expect major tears. He was fine as soon as I took him off his lap. I went ahead and got a picture as a keepsake. I know I won't forget and maybe he will!